Fantastic sky view, amazing art piece. Highly recommend. 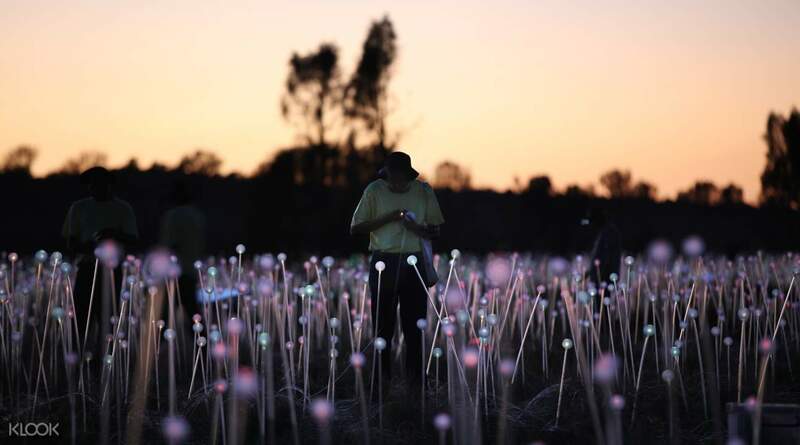 Step into a once in a lifetime experience at the largest Field of Light installation to date, with more than 50,000 stems crowned with frosted glass spheres radiating throughout the desert. Enjoy hotel pick up before dawn and be taken through the pathways that encompass tens of thousands of sphere lights before making your way up the hill to a viewing area. 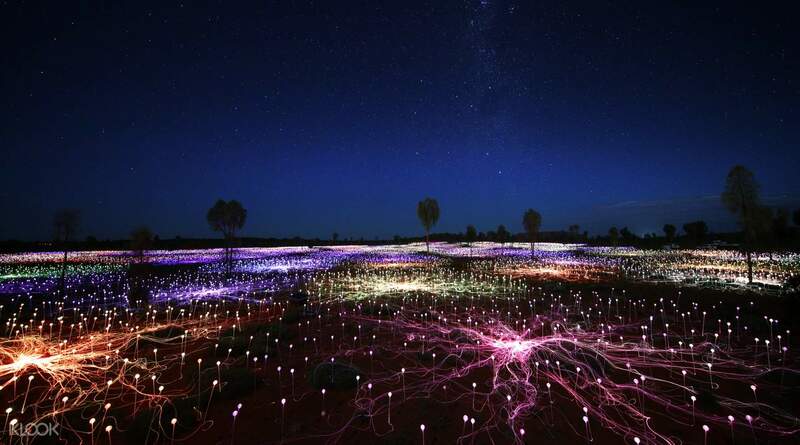 A knowledgeable guide will provide you with insights and background to the art installation created by Englishman Bruce Munro and you will watch as the first sun rays hit Uluru and transform the desert into a sea of soft orange glow. You will be offered a cup of coffee, tea or hot chocolate to warm yourself as the sun makes its way above the horizon. Capture some amazing photos before being taken back to the hotel. Amazing adventure! A must do thing when traveling to Uluru!!! Seriously amazing artwork ! And wonderful view of the sunrise Uluru!!! My kind of bucket list !!! Done and dusted ! Amazing adventure! A must do thing when traveling to Uluru!!! Seriously amazing artwork ! And wonderful view of the sunrise Uluru!!! My kind of bucket list !!! Done and dusted ! Well worth the early morning wake up. 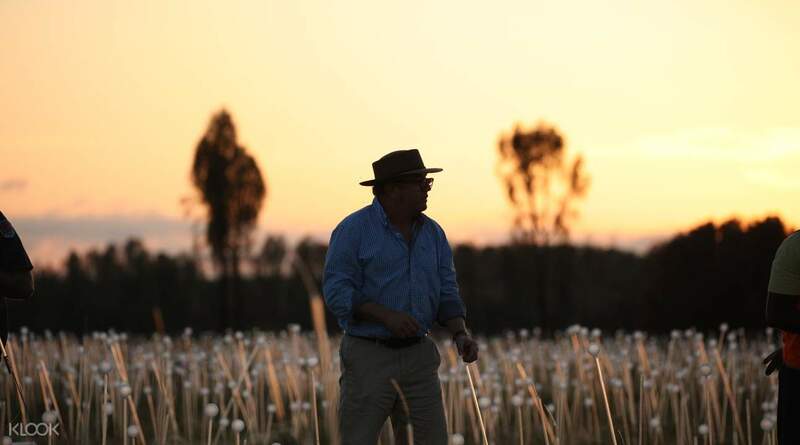 The tour guides were very informative and it was lovely to enjoy a cup of tea whilst watching the sunrise. I only wish we did the sunset tour as well. Well worth the early morning wake up. The tour guides were very informative and it was lovely to enjoy a cup of tea whilst watching the sunrise. I only wish we did the sunset tour as well. 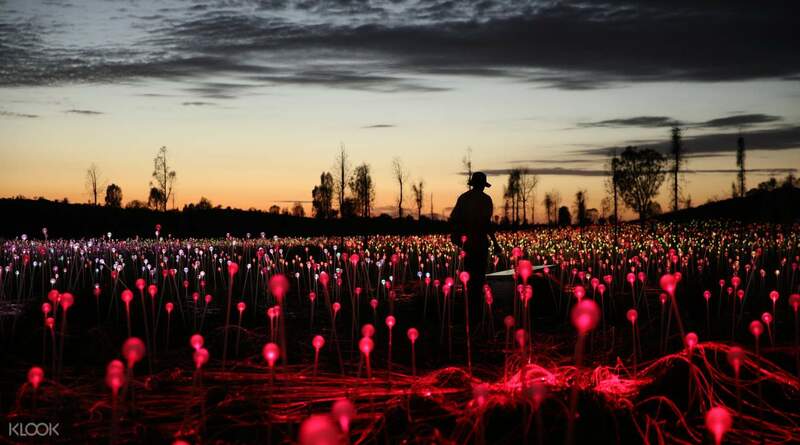 Beautiful field of light and the sunrise are very impressed. It's worthy to watch. 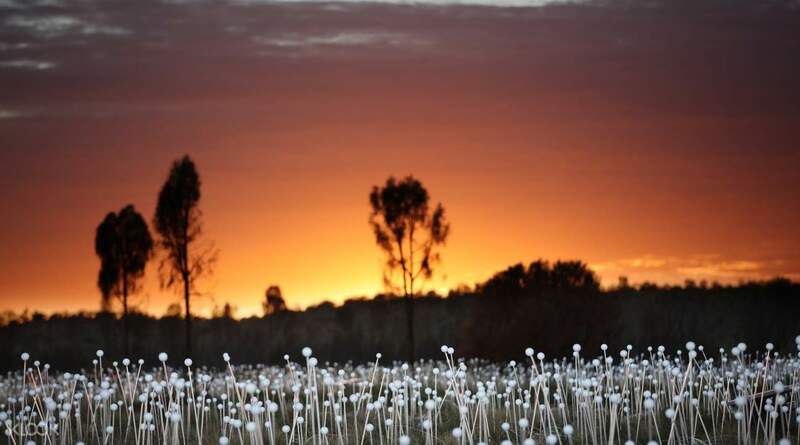 Beautiful field of light and the sunrise are very impressed. It's worthy to watch. Fantastic sky view, amazing art piece. Highly recommend. Fantastic sky view, amazing art piece. Highly recommend.